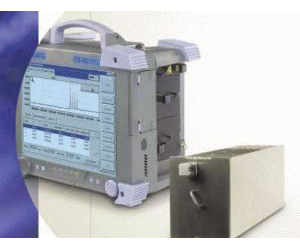 The FTB-5230 Optical Spectrum Analyzer (OSA) is designed for testing both DWDM and CWDM systems within metro/access links networks and long-haul networks. This cost-effective module is housed in the FTB-400 Universal Test System, EXFO’s tough, portable test platform. What’s more, the FTB-5230 covers the entire CWDM wavelength range, from 1250 to 1650 nm.